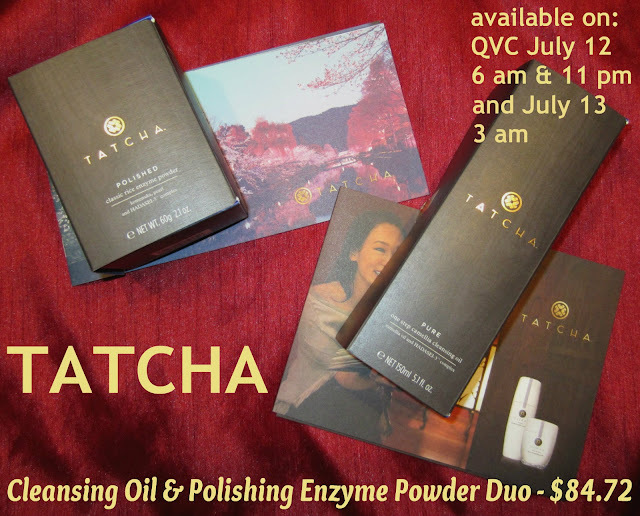 Tatcha is returning to QVC July 12 & 13 with their popular Pure One Step Camellia Cleansing Oil & Polished Classic Rice Enzyme Powder Duo, so if you're a Tatcha fan or if you're looking for a luxurious quality line of skin care, take note! This set sold out in minutes the last time QVC offered it, and while it's definitely a higher end line with a price tag to match, it receives rave reviews on QVC, MakeupAlley.com, and many other sites and forums. Like many of you, I am a cosmetics junkie, and that includes skin care products. I'll admit that while color cosmetics have always piqued my interest more, skin care has become just as interesting to me now that I'm 54 and fighting the daily aging battle! Many products don't seem to make a difference at all, some do a satisfactory job, and a select few have a very positive effect on me. Tatcha is one of those select few. 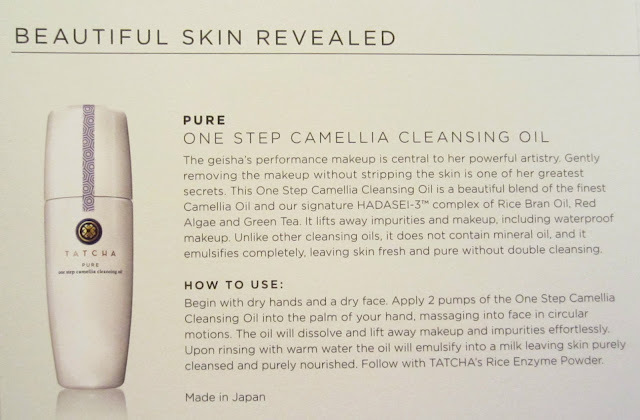 The Camellia Cleansing Oil (5.1 fl. oz.) 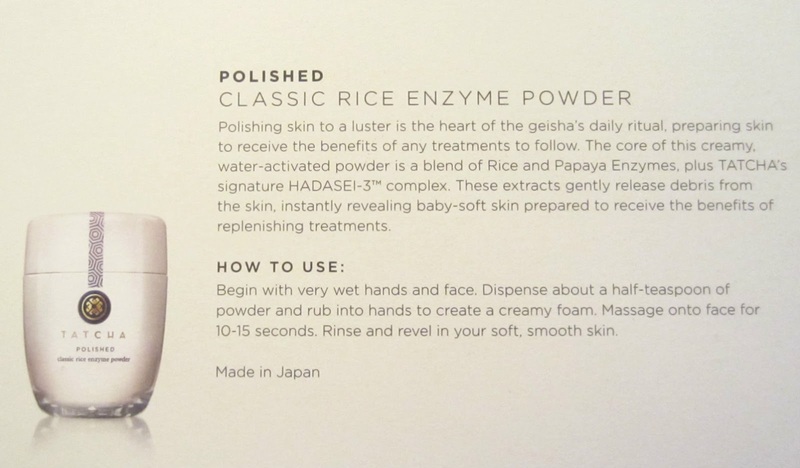 and the Classic Rice Enzyme Powder (2.1 oz.) are priced at $84.72 for the pair. The packaging is absolutely lovely, and the design of each bottle is very practical for usage. I keep most of my skin care products in the closet, but these are so pretty, I leave them out on display! 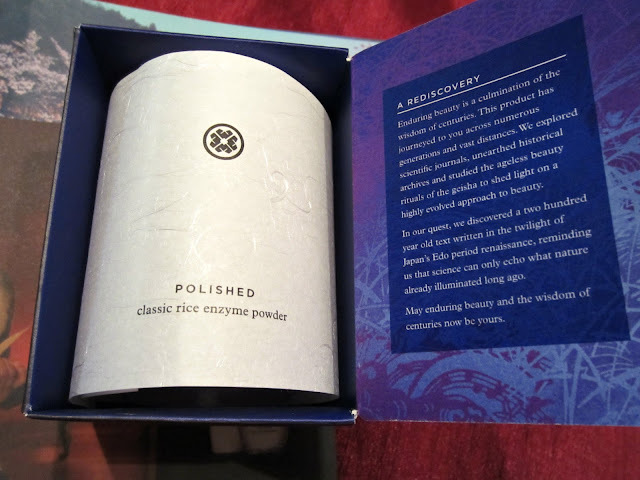 The products come boxed, and include a delicate printed product wrap. The dispenser for each product is simple but effective, and I don't feel like any product is being wasted by releasing too much, nor will I have to try and deform the packaging to get the last of the product out. There were some instruction booklets in my package, and below is a quick look at the instructions for each product. Cleansing oils are hit or miss for me--they either feel very oily and heavy, often leaving a residue behind, or they feel light, less oily on my skin and rinse clean. 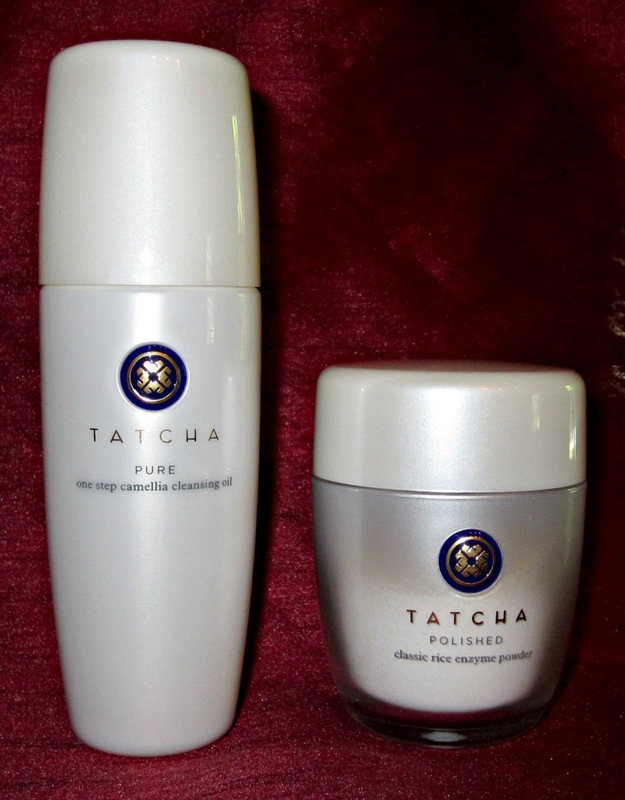 Tatcha's product doesn't feel very oily to me at all, it removes all of my makeup, rinses clean, and imparts just the right amount of moisture exactly where it's needed. This has a light, almost undetectable fragrance, as does the rice powder. The rice enzyme powder is very finely milled, and it emulsifies into a lather when mixed with water. I love the way this feels on my skin as I "polish" it. The end result after using this gentle yet effective cleansing and exfoliating duo is smoother and more supple skin, reduced pores, and the always sought-after brighter skin with a radiant glow. Tatcha products are created without Mineral Oil, Synthetic Colors, Synthetic Fragrances, Sulfate Detergents, Parabens, PEGs, PPGs, Urea, DEA, TEA or Phthalates. Victoria Tsai is the founder of Tatcha, and you can read about her philosophy and story here. You can also follow them on Facebook and Twitter to stay up to date on their full product range. *Products featured were provided for editorial consideration. Thanks for the review! i've never heard of this brand but i've been hunting down non-oily cleansing oils, I might give this one a go!